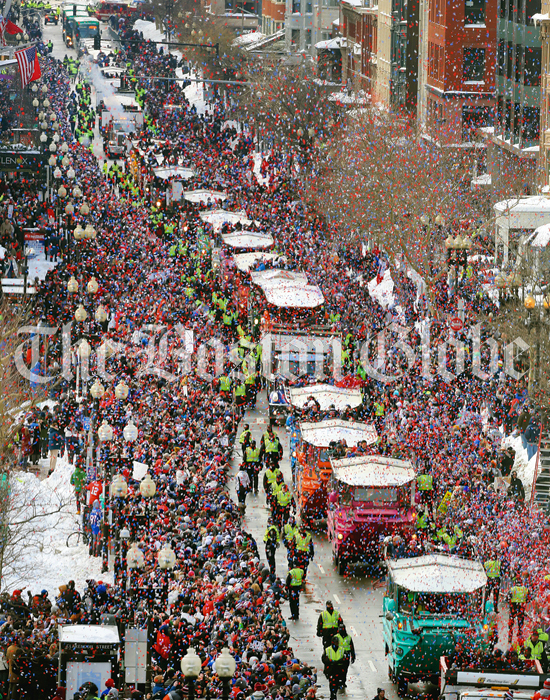 The Globe published several pages covering the recent Patriots Super Bowl win over the Seahawks. 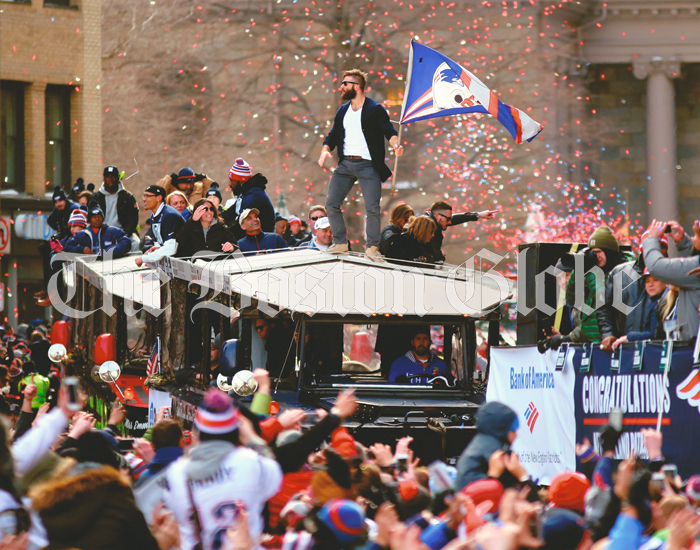 Across the front page of Monday's Globe read "Return To Glory". Inside, there were numerous articles and photographs commemorating the championship. You can purchase professional reproductions of these pages directly from our online store! 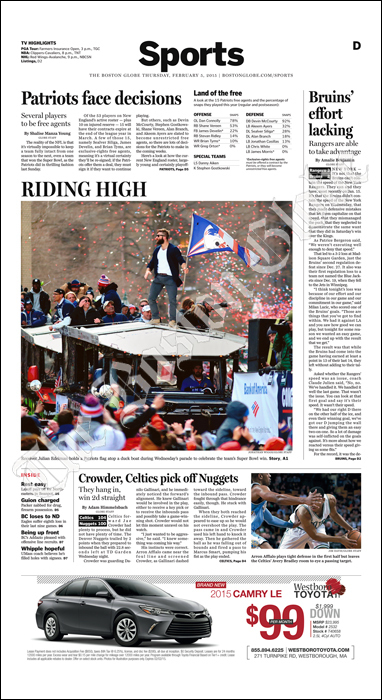 Using our photographic printer, we produce archival prints of Boston Globe pages for sale. You can purchase prints or framing prints by visiting our Boston Globe Gallery.